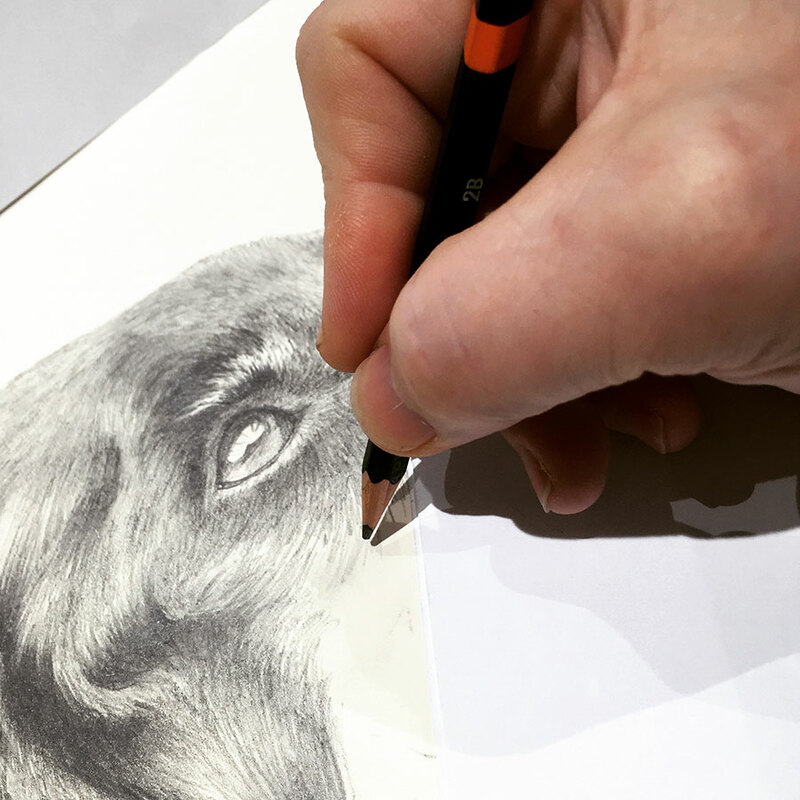 For pet pencil drawings and pencil drawings of family members. The pencil is the most basic of art implements, yet can produce the most amazing results. That’s where I come in, my name’s Garry (as if the website name didn’t give the game away) and I’m a part-time artist who undertakes pet pencil drawings and drawings of family members for people. Have a look through my galleries and see if this is something you’d like me to do for you. If you fancy it, send me over the picture you’d like drawing, via the form HERE and I’ll reply saying if it’s good enough quality. Otherwise, simply enjoy my drawings as much as I did drawing them.